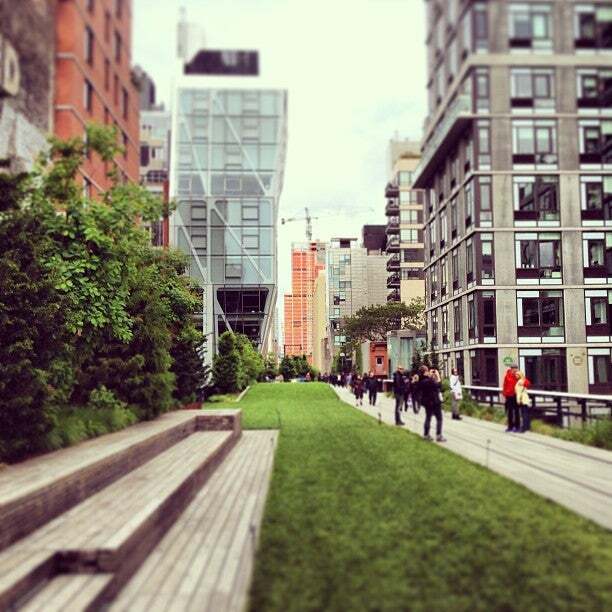 The High Line Park goes about two and a half kilometers above Manhattan. A new life was brought to the former elevated railway in cosmopolitan New York in 2009. The locals decided to build an oasis of peace and quiet. Great stroll with the view of the Hudson River or gardens of flowers and wild plants is a great experience. You can also admire the artwork of contemporary artists, both paintings or sculptures. There are concerts, open-air dancing or even watching the starry sky with a telescope. An interesting feature is the Chelsea Market, which the High Line is going through. There are many shops, shops and restaurants. Among other things, the office has several companies, as well as one television company. When you visit New York don't let this experience escape you. 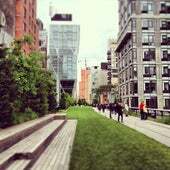 The High Line Park goes about two and a half kilometers above Manhattan. A new life was brought to the former elevated railway in cosmopolitan New York in 2009. The locals decided to build an oasis of peace and quiet. Great stroll with the view of the Hudson River or gardens of flowers wild plants is a great experience. Park The High Line se táhne v délce asi dvou a půl kilometru nad ulicemi Manhattanu. Bývalému vyvýšenému kolejišti v kosmopolitním New Yorku vdechli v roce 2009 nový život. Místní se rozhodli vybudovat tady oázu klidu a pohody. Procházka s výhledem na řeku Hudson nebo zahradami pěstovaných i 25 let divoce rostoucích rostlin, je ohromný zážitek. Můžete také obdivovat umělecká díla současných umělců, ať už malby nebo sochy. Často se tu také konají koncerty, tancování pod širým nebem nebo i sledování hvězdné oblohy teleskopem. Zajímavostí je budova Chelsea Market, kterou High Line prochází. Je tu mnoho obchůdků, obchodů a restaurací. Mimo jiné tu má kanceláře několik firem, a taky jedna televizní společnost.